In 1956 Amílcar Cabral founded the African Party for the Independence of Guinea and Cape Verde, that was fighting for liberation of Portuguese Guinea and Cape Verde. For three years the party was quiet, gaining support under its nonviolent banner. The first major activity, organized by the party, was a dock-workers strike for better salaries in Pijiguiti Docks, Guinea. The strike began on August 3, 1959. The strike was suppressed by the police. Police officers opened fire on the striking workers, killing over 50 people. This event made the leaders of the party to rethink the strategies of achievement of a desired result. They concluded, that the only way of achievement of independence was armed struggle, thus beginning the uprisings against Portugal. 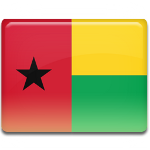 Guinea-Bissau gained independence in 1974 and proclaimed August 3 to be a public memorial day.